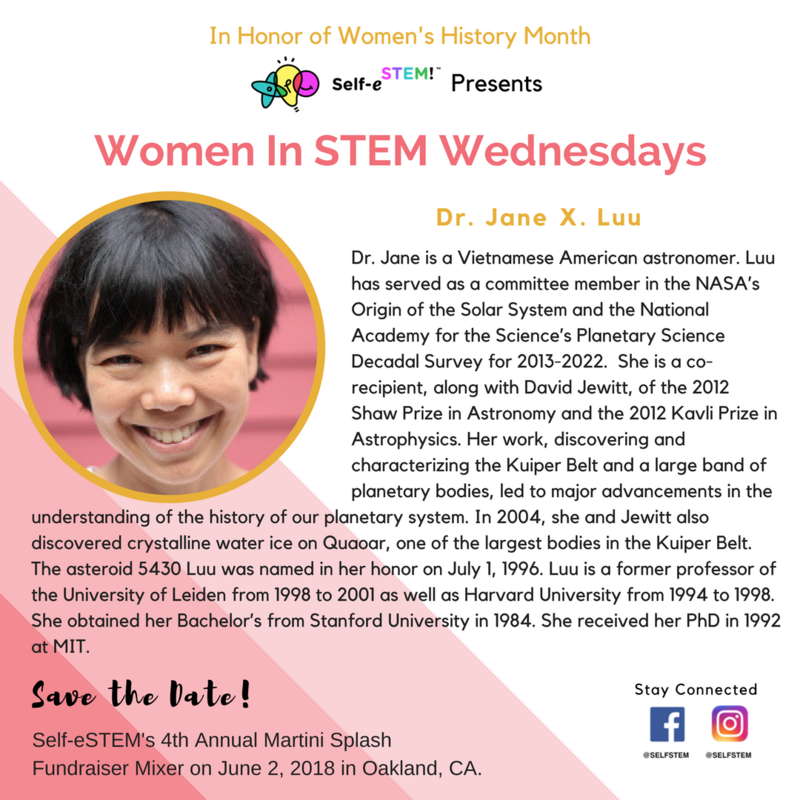 Dr. Jane is a Vietnamese American astronomer. Luu has served as a committee member in the NASA’s Origin of the Solar System and the National Academy for the Science’s Planetary Science Decadal Survey for 2013-2022. She is a co-recipient, along with David Jewitt, of the 2012 Shaw Prize in Astronomy and the 2012 Kavli Prize in Astrophysics. Her work, discovering and characterizing the Kuiper Belt and a large band of planetary bodies, led to major advancements in the understanding of the history of our planetary system. In 2004, she and Jewitt also discovered crystalline water ice on Quaoar, one of the largest bodies in the Kuiper Belt. The asteroid 5430 Luu was named in her honor on July 1, 1996. Luu is a former professor of the University of Leiden from 1998 to 2001 as well as Harvard University from 1994 to 1998. She obtained her Bachelor’s from Stanford University in 1984. She received her PhD in 1992 at MIT.